The very passion on religion leads to destruction, may not the self, but others and things. 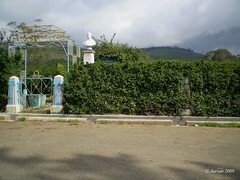 By noon after return from garden, we eat the prepared lunch and left to Doddabetta, which is summit of Nilgiris, meters 2,623. 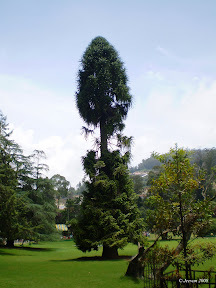 The name Doddabetta adapted from the language kannada, which means Big Mountain, Dodda and betta. 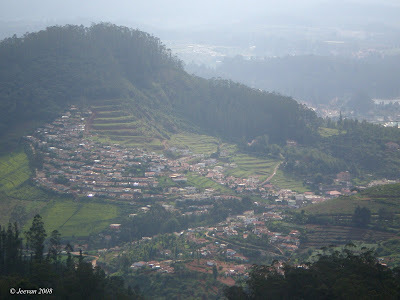 It’s a place we nearly get a panoramic view of the Nilgiri’s small villages, houses of Udagamandalam, far away mountains sometimes covered by mist and beneath shoals and forest like thick raised trees. 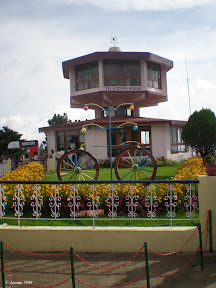 This summit is an 11 km drive from ooty, climbing the road that covered by both sides of whip trees leads to this top. As we move further the cold was sensed more and the quiet path (that was more than years back when I visited) of peaceful pleasantly felt. 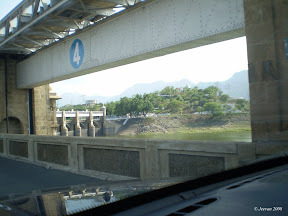 But this time I miss them all and only polluted smoke, wrappers and traffic of vehicles left. 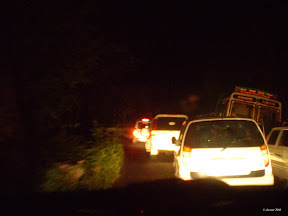 Good thing also happens through the vehicle crowd, that they opened another way through road which leads till observatory tower. So it was easy for my wheels to get near, having some beautiful and green views around. 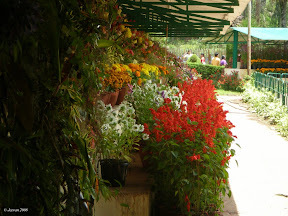 It was the clouds coves and opens the sky, the cool and sunshine makes different atmosphere and more changes in creation of greenswards and flowers uplift the sight, but feels artificial missing the natures view. 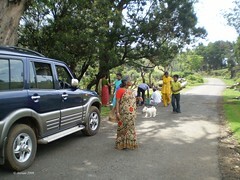 After being there for sometime we left taking group picture before the observatory. It was an eco-friendly street our hostel lies, which holds a rare photography gallery home and a small aquarium. 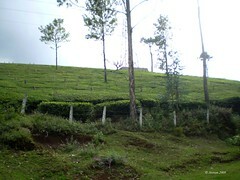 On our right hill there is a tea factory; just beautifully and in night it’s bright in shining wherever you could see from. The hostel holds five to six rooms with each 4 cots and plenty of blankets, still the cold not to bear. So on second day I get the idea of something known back thought to cover the bed with daily papers for warmth, though it helps at little. As our warden said, the cold was adjustable for me the further days we stay, but not many u see, our cousins and granny started to worry about the cold. 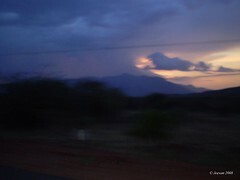 After sun down, and the moment all comes together it was more fun, and having dinner and chatting till we leave to bed. My grandma is retiring from her 39 years of service as a teacher in government school in Mamallapuram near Chennai, by this month end. We were attending her farewell and as well congratulate function yesterday evening, and I was feeling could I able to attend that function which I thought 39 years as teacher is not a simple act and by my wish she invited us and I went with more interest to share and by watching her most worth function in life time. If not to be my own granny, I like her so much, though she was a sibling of my grandmother and to tell mom’s aunt. She started her carrier as a teacher in her age of 19, and she joined as a primary school teacher in mamallapuram from where she retires now. 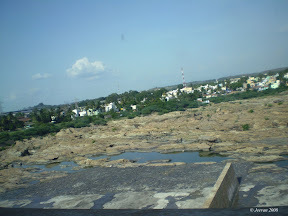 In those periods she has been moved to many schools in the region of Chengalpet a near town to Chennai. She has two sons and a daughter. Unexpected after her hubby who is also a teacher passed away and then to her often displacement on job and to our request she come to settle down near to Chennai, so we could feel of being with her. It was the times as we children, soon the summer vacations starts our whole thoughts would be visiting her place and to be there is delight for me and bro, of the love we share with grandma, uncle and aunt – her sons and daughter, who is a year elder than me. None would be there dislike my grandma, as she is so kind and attachment to everyone and every time we visit there our memories waits in eager till we meet next time. My uncle and aunt are our best company in holidays, and we care so much each other and even the moments would be silly when we fight for no big reason. In the long run many things changed and in our heart we hold a place for them ever. It was by 4 in evening the function was in process and more than an hour it lasted after we arrive. 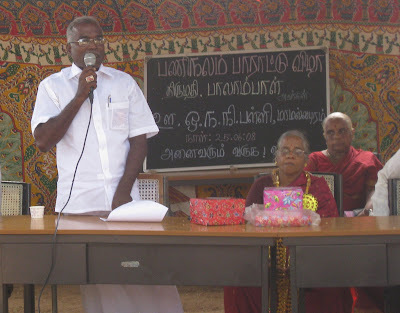 The colorful festoons brings a festive feel and children around to listen the congratulate speech by other teachers, headmasters of different schools wherever she served and panchayat leaders for her service as a teacher for 39 years. Finally my grandma spoke about her experience, and tales herself with students and teachers. She was near dropping tears when she tries to express how much the affection she kept on her students and their request to be there for making them learn some method easier, but I moved when she disclose her difficulty in teaching and visiting school daily. I hope she get more rest after her retirement and peace stay with memories of special moments in her carries of teacher. After wishes, presenting gifts and the sweet words spoken about her could find a happier in her face and sure her mind must be. Just the sent-off haven’t end at school, in home she prepare for a dinner for us and to her colleague teachers who comes along with her as a custom of leaving her at home. 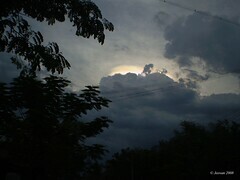 More the clouds and rain in evening makes the moment pleasant and after we left home with satisfaction of being at a special moment of hers. In addition to wonder, the school she began her carrier and ends is to celebrate its century in 2 years which was started in 1910. We spent more than two hours inside the garden assort by our families, me and my fav cousin get away from others took some path getting the attractive sights and catching some beautiful pictures. Let my grandpa to sit somewhere, as he can’t walk more, we went alike and I just like getting upward on seeing more people and green grasses separating the garden and beautiful flowers along we go, and some where perished disappointed to the early rain. 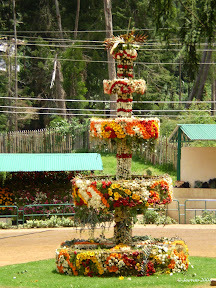 The time already the famous Ooty Flower Show have been over and the left over models of flower fountain and spaceship rocket stands alone in mid of less grass land, the flower show arrangements of varies flowers on a side which closed to public view, even so it was disturbing the perished flowers here and there. 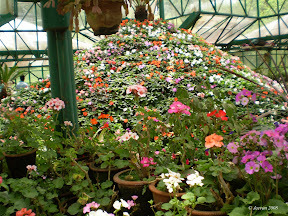 The glass house yet simply beautiful with small flowers around in red yellows and the greenswards which is not allowed to stay now, it’s the pleasure u see rollover there, the drops on grasses are ever stay memories of then. is the courage what I looked for. disclose them as light and bright. What am I talking now, because? 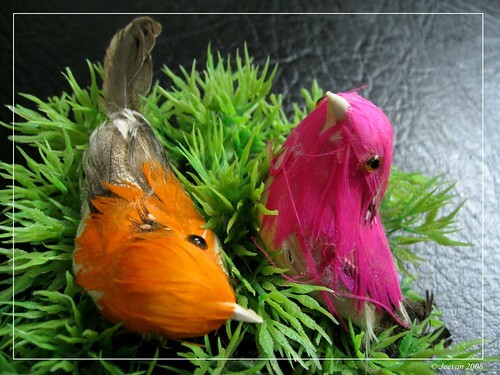 I completed three years in the blog. Thank you all, it’s indeed only because of you all. 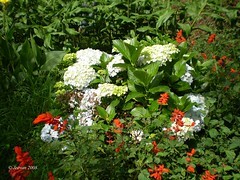 available at the botanical garden. and the only remaining train journey till. inevitable is not going to be fine. but in an unexpected world am. there is more and some have no more. power gives life this opportunity. 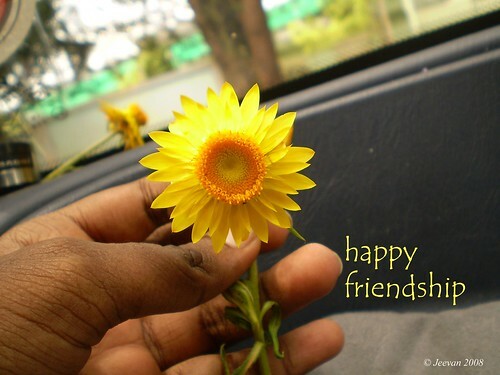 # Current song from Tamil film Nepali, my most favorite Kanavilae Kanavilae… a lovely song. 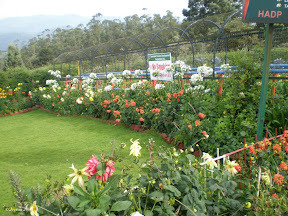 In mid may we were planned for a trip and in wish I was looking forward to visit Valparai in Coimbatore district, but for some reason and doubt of getting leave for dad, it was canceled. 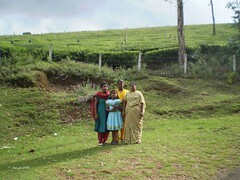 Then in between, dad’s friend in Coimbatore urged at least go to Nilgiris where he can arrange govt. 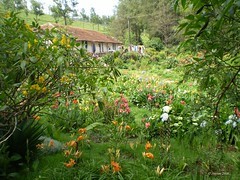 hostel in Ooty to stay, which was vacant because of students’ vacation. Before that, dad want’s permission from his higher officer for vacation, ‘though dad wondered and many of us that as soon he asked him leave for a family trip he signed immediately which none gets easily. So it was and then arise another problem in transporting. Dad think if we go on travels they charge more and if get a vehicle, only diesel and driver charge cost. So we thought of taking our aunt’s Scorpio, but here also a difficult that there Scorpio doesn’t have a carrier. Just for our four it was comfortable with luggage and my wheelchair, but we are taking our uncle’s (chittapa) family and we need a carrier. 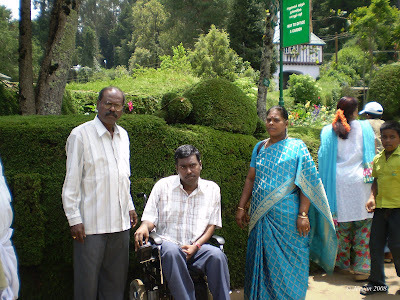 Same time my sister was also on plan to visit ooty and she told waiting to join with us, though she and her parent are feeling lonely visiting and we are to share with their Sumo making our trip comfort and also calling our grandparents with us. 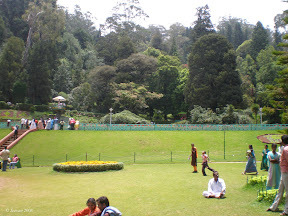 I just want to show my sis we have to enjoy happily our trip in SMS, who is in another vehicle before climbing hills, but to see it was still undelivered even after retuning home and it was over 7pm in evening we started to drive on hills and because of over traffic slow downs the drive reaching Ooty by 9.30pm. I wished there was natures light when climbing on mountains getting the nature visible, though it was dark aright and it was the eucalyptus scent in breeze welcomes. 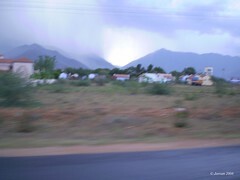 Few km further on hills got the view like multi gems dropped down beneath to my left; and those are the lights from the town near shines in red, green, yellow…. 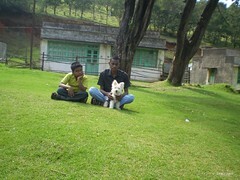 Before arrive hostel, the place we actually stayed in ooty, my sister’s relative arranged a guest house known as Stone House a famous old house in ooty belong to English men period. First we thought to stay their, but there is no more facilities for us, so we left hostel by 10.30 and after dinner it was nearly 12 to leave bed. 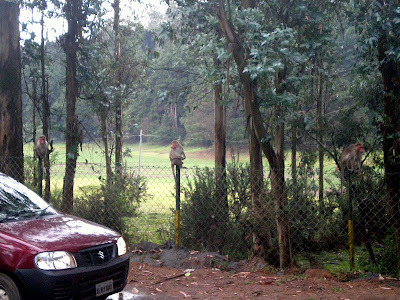 Already Nilgiris are wet everywhere of rain and it was raining still after arriving hostel the cold ever high we felt that night. If everything was ok then, we would have got a chance staying in Stone House which is so clam reside and a top place to get the whole town under sight. 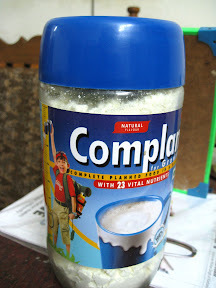 I am a Complan Boy, You? The long time wish or even sometimes the desire exists with new Digital Camera. Canon PowerShot SD850 IS in my hand delight all time looking at the 230,000 pixels colorful LCD. Its nine months since I was waiting for this camera to arrive through my friend’s colleague from US. It was the thing I must be holding right already, but because of some wrong information I missed to urge and avoid giving difficulty to my friend when he was on a project to US. Till then he was urging his colleague friends about my cam whoever left to US, but for some reason their return was delayed. First of what the entire camera I chose its best is not what I get now, but the one similar to the Powershot SD800 IS this. The SD 850 is 8 Megapixel and what I chose is 7.1 though its costlier in Indian rupee, but not in US and the people get through online couldn’t find the model I selected. Though we can’t expect everything should be perfect, so I prefer to SD850 which is no more less to SD800 which I think best but comparing some options are high in this. 6. ISO up to 1600 and many lighting effects. But to tell truly the disappoint thing in this camera is the weight, little heavier than I expected. 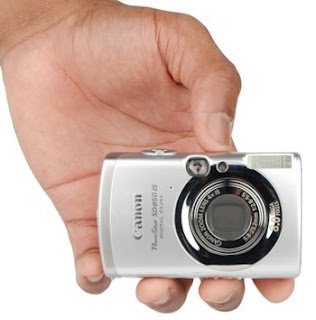 The cam body just fits in our hand, which is comfortable pressing shutter button with a support. The zoom can’t be calculated as it don’t show the exact stage in zoom, but no different visible, I must do exercise more with optical Zoom and it was fun zooming something in distance. In addiction I buy a 4GB memory card that can hold more than 1,000 shots in Super Fine to take the maximum quality pictures and in minimum more than 5,000. I like the color of the body in silver metallic, the ultra-slim and stylish look. 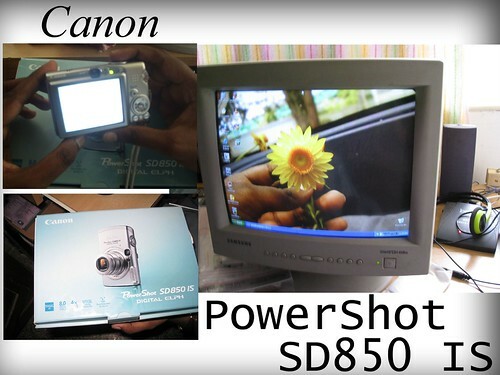 The first reason to select Canon PowerShot SD 850 IS is for the much less shaking option and it’s the main problem I face more in Digital Cameras taking more shaky pictures. When i was looking for this camera in India it cost 360 US$, but the same thing cost me 227 US$ brought in US. Hope power shot portrait colorful to heart and sight, with your entire wish. display on dark Blue Mountains. 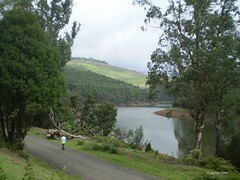 This is one of a very lonely place in the Blue Mountains of Nilgiris, northwest of Ooty. 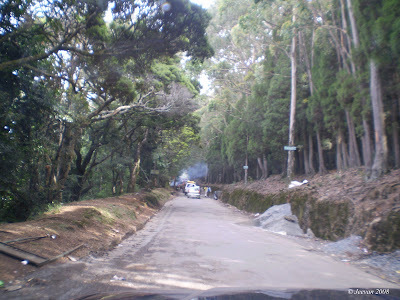 It’s just a 25 km drive from ooty center taking the right narrow path next to Pykara falls on Gudalur road. 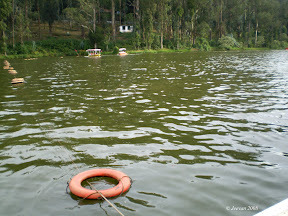 When searching for some newly places in net rather than the usual tourist visit and I found some places in that Glenmorgan is what we visited on the 2nd day after arriving Ooty. 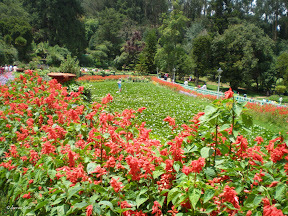 Right oppose to ooty this place is completely silent and more than a tourist place it’s a picnic spot to spent a day, on the day we went it was mixed under cool breeze and sunshine giving enough soothing. 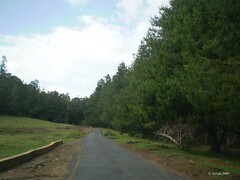 It’s a narrow path to reaching Glenmorgan is one besides having tall trees monkeys occupied and grass sloppy hills. 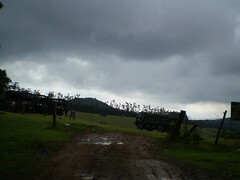 As we enter there was a small army camp was going and soldiers where on exercise, army vehicles and horses stayed. 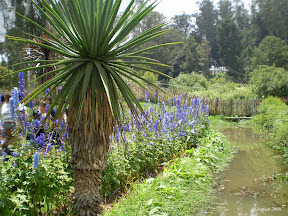 Little move further comes this small stream that a flow from few feet high is simpler joy, but it was down to capture and the glenmorgan tea estate welcomes with colorful bloomed flower garden belong to some private estate. 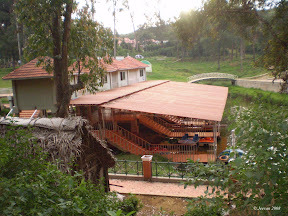 Before reaching the turner and top station in Glenmorgan, we parked on road side of the beautiful lake bank for lunch and it was greenish earth and chillness weather because of being near lake and the little waterfall sound just for only nature and our families the only nosier. 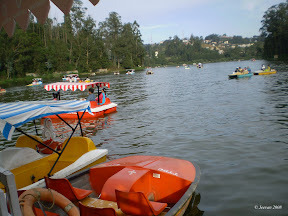 After lunch, I and my cousins went around climbing the off-road then to getting a view of the lake, tea gardens and slopes; my wheels are helpful going around myself along the lake road and towards viewer point. 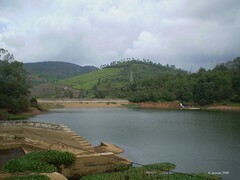 The lake is used as fore bay for Pykara power house and fishes been catches in lake. To see our little cousin was disappoint not bringing the fishing hook to catch fish. 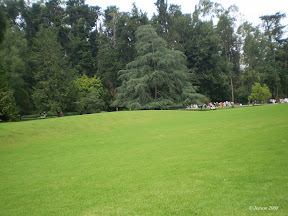 In the whole trip this is some place unforgettable and the best in all. 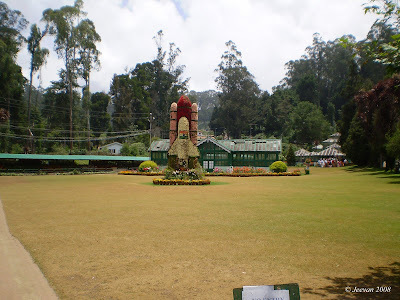 Glenmorgan is one of an oldest tea estate in Nilgiris and a very famous then. 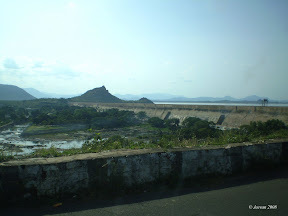 Those these days it’s a gateway for Electricity Board workers to reach Pykara power house in Singara which is about 3km down from the hill here. 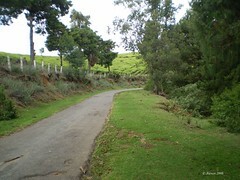 To reach the viewer point and winch station at edge of the hill, one need to get permission from the EB office their; for us it was easy to enter where dad being a government official they leave us sending a guide to explain and inspect whether we are using cameras, which is strictly banned. To our surprise it was something unexpected to see a winch been operated (but not now) towards the steep valley and visible track passes along narrow steps and pipers caring water to the power house. The guide explains that EB workers used to go through the winch besides deep forest and shoals reaching power house and incase of even climbing up/down in the fearing steps. 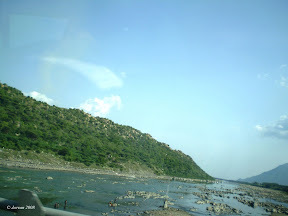 To know the valley there is called green desert, to the eyesight where it’s only forest and shoals. The winch operation is temporary stop there because of disturbance by wild animals; and few meters away from the end, is said to be a road come tunnel been created for EB vehicle to reach Singara. A small statue of memorial of the chief engineers of the project Sir Henry Howard was kept their behind as lake. 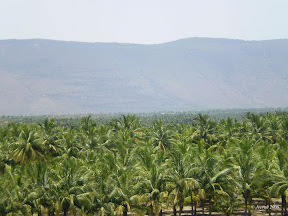 One thing is, we get a picturesque view from the edge of mist and green covered mountains and deep forest which is said to be the Mudumalai Wildlife Sanctuary. 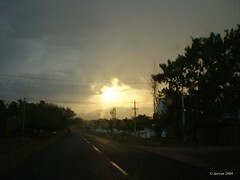 Getting back from there the sky was nearly closed by dark clouds and just after reaching govt. 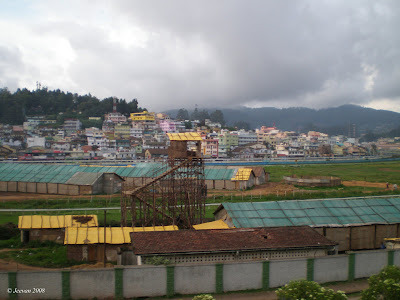 hostel where we stayed in ooty it was heavier the rain and kick started the strong cold. Once we learn that human gives carbon dioxide and gets oxygen from trees/plants in cycle process to breath. Even today this process continues, but more carbon is given and little oxygen/fresh oxygen taken. Every moment carbon dioxide is been increasing in environment for human comfort and for our today’s needs. The roads been widen, new flyovers built for easy transport and to avoiding traffic jams so the trees removed and make the cars move freely and too carbons. That was not fully to avoid the development but also should concern about the carbon drinkers the trees to have a balance thing to stand. Many Indian states are to capture many industries to enter their foot and create business and to employment for their people, but one thing I feel they should see is the balance infrastructure and especially on pollution control. Towards look clean city the Chennai corporations has put its first step from June 1, a ban on throwing garbage in public places and streets. To me it seems an unplanned rule for the Chennai citizens whom have practiced by throwing everything out and to see there are still overflowing dustbins here and there. It’s really a good plan and something I wished more to see our city clean and hygienic. The awareness would be a better thing to make possible this plan success, be preparing from school children, college youths, and office man everywhere and more important it should start from every home. Dropping waste comes to arguing most times with my cousins and they see it very silly what they throw never bothers them. I used to tell collection of drops the flood, but who listens. Ones we go to some place in public, we really search for clean place to stay ourself take for the beach, but how many of us realize a piece of the dirty is what we thrown last we visit. We people don’t think seriously where all the city rubbish goes, just to know we are safe and clean. We are throwing everything out of our near boundary thinking it won’t affect us, but air has no bound, it spreads everywhere, when burning them it increases pollution. What to do for that? We have to reduce using plastics, make limit the vegetable and meat waste and recycle much we can like papers, water, woods and separate decay and non-decay waste thing. The energy and power should be saved; the world is not ending today, another side it still awakes and for future decades at looking for power.